The impact of climate change, combined with population growth, means the country is facing an “existential threat”, Sir James Bevan is expected to say in a speech. “We all need to use less water”, he is expected to say at a London conference. He is expected to say that, in around 20 to 25 years, England will reach the “jaws of death – the point at which, unless we take action to change things, we will not have enough water to supply our needs”. Half of the problem is climate change, which means hotter and drier summers in the UK, he will add. And the other half of the problem is the UK’s rising population, which is expected to increase by eight million people by 2050 (from 67 million now to 75 million). “So: climate change plus growth equals an existential threat,” he is expected to say. Currently, people in England use an average of 140 litres of water a day. Sir James is calling on people to cut their usage to 100 litres – the target set by Waterwise, which campaigns for water efficiency. “In the last few decades we’ve radically changed behaviour on smoking (everybody did it) and seatbelts (nobody wore them),” he is expected to say. He is expected to set out some tips for people to cut their water usage, including: getting a low flush toilet; taking short showers and not deep baths; turn the tap off when brushing your teeth; and not to water your lawn as “it will survive without you”. 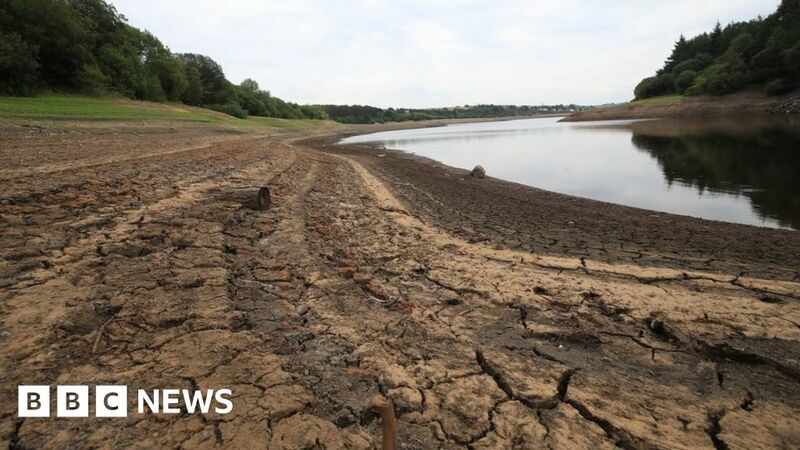 The Environment Agency has previously warned of water shortages by 2050 and the government has already suggested that people’s water use be reduced, in its 25-year plan published last year. Its report in May last year found enough water to meet the needs of 20 million people is lost through leakage every day.